AFFILIATE PROGRAMS This site uses affiliate links (Karatbars International ) to set off costs associated with running the blog. If you click and/or make a purchase through affiliate links on this site, I may receive a small payment at no extra cost to you. All opinions are my own. I only link to products and services I currently use or have previously used. Thank you for helping keep this site running, providing free and valuable contents to you! 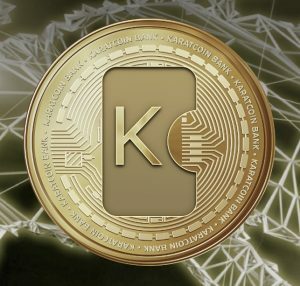 #KARATGOLD How To Acquire Your K1 Impulse VOB Phone for FREE, Promo Through 5 12 19 Fresh power for the success of the KaratGold Ecosystem – A concept of a strategy that integrates all technical and organizational aspects necessary for the harmonization of the crypto- and the real world for the one purpose: maximum financial security for all people. The KaratGold Coin is a blockchain-based cryptocurrency. Specifically designed to be used as a generally accepted electronic payment means for all who consider gold as a traditional, true, secure and value-stable medium. Be part of our fantastic payment system. Now is the time to start. You can wait until something happens in the world, or you can change something for yourself and for all humans. Everything you need to know about Karatbars’ vision of an independent, strong and safe financial ecosystem based on pure gold. And you’d better do, too. Deviant Investor ‘s Gary Christenson joins me to discuss his new book ‘Gold Value and Gold Prices From 1971 – 2021’. Gary’s empirical model projects a Gold price of $10,000 by the year 2021 and a Silver price any where from $500 – $1,000. Gary notes that these numbers are based on simple mathematical projections using current levels of government spending which will undoubtedly continue unabated. Gary’s conservative empirical model does NOT even factor in the possibility of US debt default, Weimar-style hyperinflation of the Dollar or other dramatic economic catastrophes. What happens to gold and silver prices when the Fed “goes all in” during the next financial crisis? Money manager Michael Pento says, “They are going to explode . . . when the stock markets melt down and deficits are rising . . . where is the money going to come from? It has to come from another unprecedented wave title way, a tsunami of money printing from the Federal Reserve. If that doesn’t get gold and silver prices which are on deaths door awakened from their slumber then nothing will. . . . The physical demand for precious metals is going to skyrocket. . . .The CFTC futures positions are net short in a huge way. There are record net shorts. When that rally comes, it’s going to be a dizzying rally. . . .The inflationary pressures that are building in debt and in base money supply make me believe that the inflationary pressures are going to be unprecedented, the likes of which we have never seen. It might even make the 1970’s and 1980’s look quiescent. That’s the kind of inflationary insolvency that have been built up. When that is released, you are really going to want to own precious metals.” Join Greg Hunter as he goes One-on-One with Michael Pento of Pento Portfolio Strategies. But only gold will save it. A financial system that comes one step closer to total crash every day. Because it is based only on debt, fiat and paper money. Money has become a mere means of payment, which in itself has no value and is now created by banks at will – from nothing. It is high time for real values. For a new world currency that can perfectly combine virtues such as crisis resistance and yield strength thanks to its genuine gold cover. It’s time for the KaratGold Coin. We at KaratGold will do everything we can to turn this coin into a true global currency through perfect infrastructure. Money manager Michael Pento predicts, “The U.S. is not an island. The U.S. is not going to have 4% GDP growth while the rest of the world implodes. . . . I look at the data, and data says this is the most dangerous market ever. This is the most precarious GDP on a global basis that we have ever had. Global central banks have never before printed $12 trillion. . . . We have never before had that happen, and the reason why they did it is to take sovereign debt into zero and negative territory so we can go on this inflation quest so asset prices don’t implode. That is all turned on its head. They have reached their inflation and it’s starting to unwind, and this whole thing is going to collapse. . . . I have put a check on the calendar for October. . .” Pento goes on to say, “When it collapses, the primary beneficiary is going to be the gold market. . . . You should always have 5% to 10%, and if you are waiting, you are running out of time to get it cheaply. . . . I don’t think there is much downside to buying physical gold here, and you are running out of time if you have no position at all.” Join Greg Hunter as he goes One-on-One with Michael Pento, founder of Pento Portfolio Strategies. 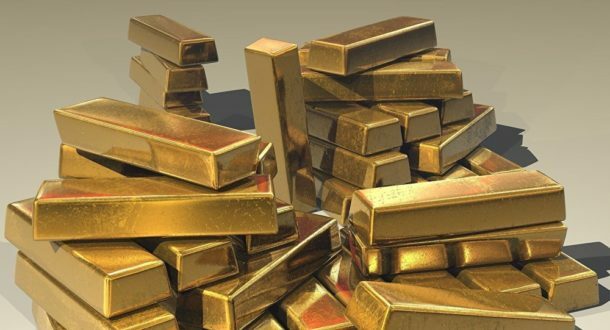 We’ve warned of this financial development in the past, but many in the West still think they can get their hands on other people’s gold – this is no longer the case, from Russia, Turkey, Germany, to the Netherlands and beyond. The world is facing a currency war and the only hedge against the crash of the US dollar is real gold, a precious metal analyst has told RT. With geopolitical power shifting from West to East, US dominance may be ending. One such sign is the recent repatriation of gold from the United States. Countries such as Turkey, Germany, the Netherlands have been moving the bullions home. The reason is the Cold War is over and countries don’t see Russia as a threat anymore, says Claudio Grass, an independent precious metals advisor and Mises Ambassador. “Central banks moved their gold because they felt threatened by the USSR and saw the USA as their natural ally. The fact that central banks are repatriating their gold shows that this has changed. It also implies that they don’t see Russia as a bigger threat than the USA any longer. Europe stands in the center of this geopolitical power shift and some countries obviously believe it’s wise to store the gold in their home countries,” he told RT. The world has been living in crisis since 2008, while a currency war started even earlier, notes Grass. Central banks have been printing trillions of dollars out of thin air, while central banks are coordinating the debasing of currencies and pouring money into all kinds of financial assets, real estate and bonds. The global debt has soared to $230 trillion, as the global economy has got stuck in “Monopoly-Game” system, that is based on debt and financial leverage, the analyst notes. “The last geopolitical shift that started with WWI and ended with WWII put the US in this dominant position, because they owned and stored 70 percent of the gold reserves of the free world. This was also the main reason, why the USD became the world currency reserve. For the past 30 years we can witness another geopolitical power shift going from West to East. As you know, everything operates in cycles,” Grass said. Karatbars offers one of the most comprehensive and potent compensation plans in the Direct Sales Industry. There are 7 Income streams broken into two major components: Weekly Cashflow through the Optional Dual Team System and Monthly Residual which is part and parcel of your free account. This video explains how ranks are achieved in this Unilevel system and what it takes to advance.